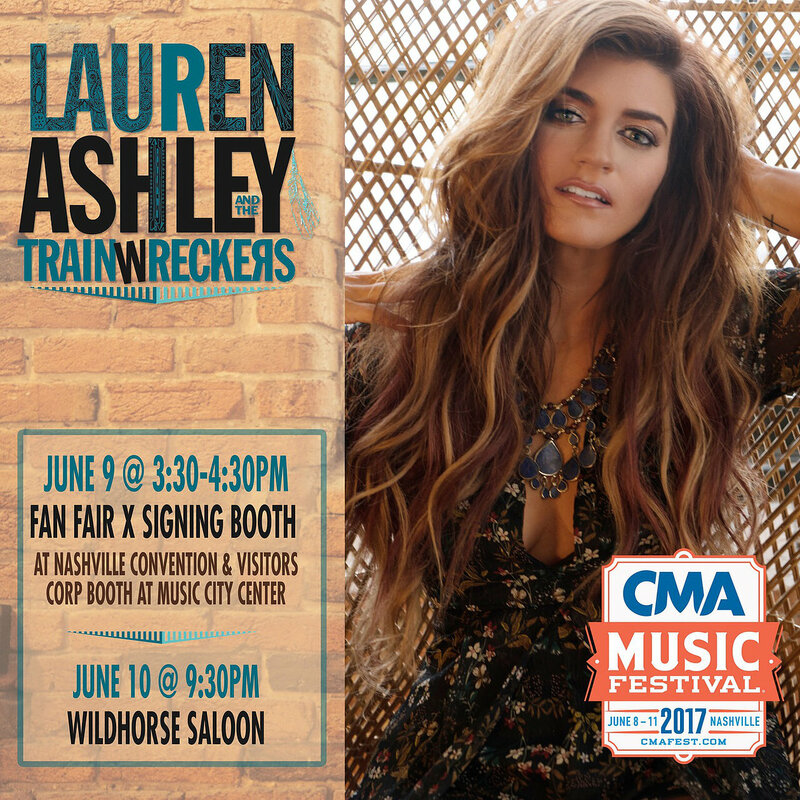 Lauren Ashley and the Trainwreckers have been gearing up for an exciting and busy CMA Festival week, June 8-11. For the third year in a row, the Trainwreckers will headline the Wildhorse Saloon on Saturday, June 10th at 9:30pm. Free show and all ages are welcome. The Trainwreckers bring an energetic fire to the stage and are always a fan favorite at the Wildhorse. Lauren Ashley will also be signing during Fan Fair X at the Music City Center Friday, June 9th, from 3:30-4:30 pm at the Music City- Nashville Convention & Visitors Corp. Booth 675.